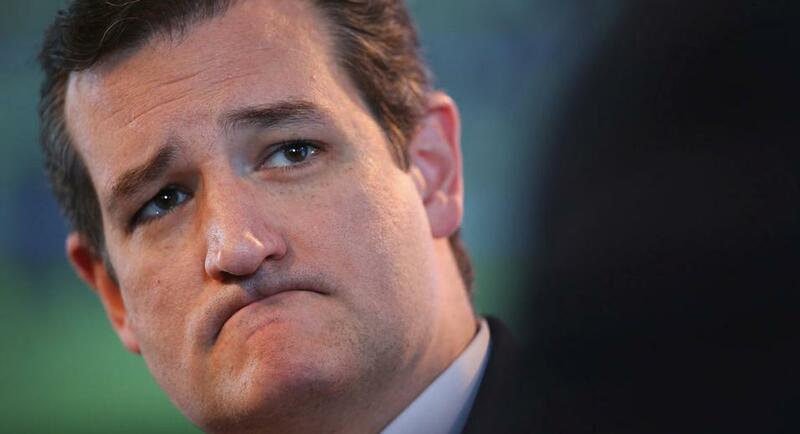 More and more constitutional scholars are coming forward to declare that Ted Cruz is ineligible to be president. Even by Cruz’s own strict originalist interpretation of the Constitution he is not eligible. I reckon in this one tiny case Canadian Cruz is conveniently ignoring the very constitution he claims to revere so much. The latest constitutional scholar/expert to affirm Cruz’s ineligibility is his very own Harvard Law professor, Laurence Tribe, who Cruz now discounts as “a liberal left-wing judicial activist.” LOL! You just can’t make this stuff up. Ted Cruz really fumbled the ball on this one when he failed to have the issue settled judicially well before 2016. It’s too late now. I guess he figured he could simply declare himself eligible and the world, including the Democrats, would get in line behind him. Right, and I’m George Clooney. If the sky turns green tomorrow and the sun rises in the west and Cruz somehow winds up with the most primary delegates, the RNC is straight jacket crazy if they run him, as the other team is led by Hitlery Clinton, who will immediately challenge Cruz’s eligibility and tear the prospect of the Canadian’s eligibility to pieces with the help of the Clinton Communications Bureau, otherwise known as the mainstream media, (update) and a now liberal-friendly Supreme Court. A growing number of legal scholars are saying that Senator Ted Cruz, who was born in Canada, is not eligible to run for president of the United States.